Keep reading for a massive paperback giveaway below. I found my Queen, but I’m no King. Ivy Johnson is my complete opposite; kind and innocent with a white picket fence lifestyle. Yet somehow when we’re together, she makes me whole. Her cheeky grin and contagious laughter, a balm to the way I viewed life. She brought color to my lifeless world. We had it all, a beautiful and carefree beginning. Something amazing was building between us, something real. But one fucked-up accident ruined it all. Then the world started fighting against us. Pursuing me and my family at every turn. Not even my past was off-limits. We held strong, like a hundred-year-old tree staring down a hurricane. Until…Ivy ruined it all. The pain in her eyes. The tears which spilled. I despised Ivy more than I hated my memories. The fear evident in her eyes, the knowledge I’d given up fighting for us. Hate sprung from love, an endless supply of fire, both created from my heart. All my nightmares and fears had scorched me from the inside out. I promised myself, my heart would heal and learn to beat without her. I never wanted it to end this way. My dream was to look back one day and say I loved her right. Instead, I’ll be the reason she loses the only family she has left. And nothing will stop me as I choke on memories of the past and stay trapped in the recess of my mind, spiraling out of control. Blinded by my weaknesses, fate raises her ugly head and proves nothing is guaranteed in this world, not even the life of the ones we love. 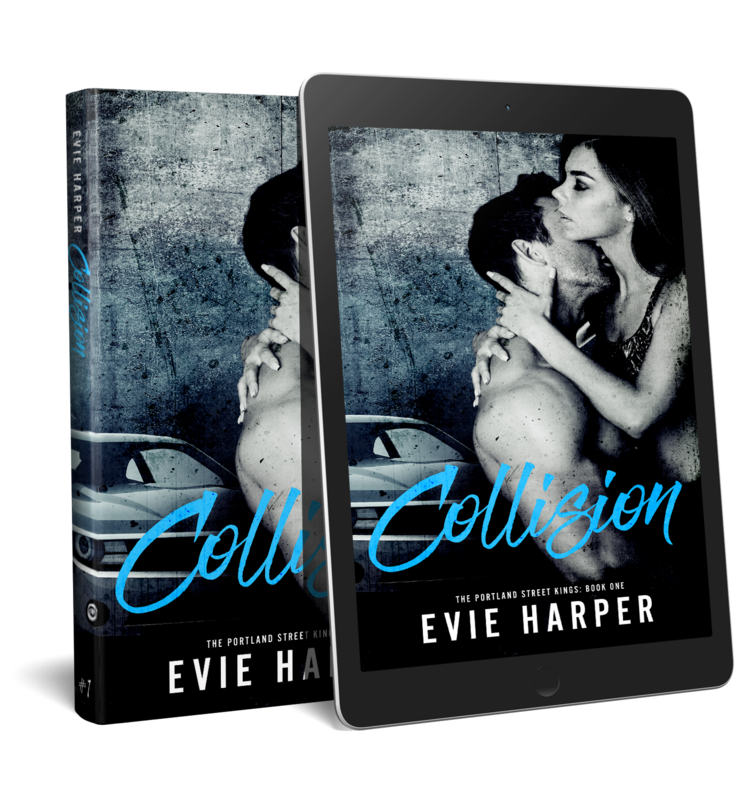 Evie is an Australian author whose passion for reading led her to write stories. 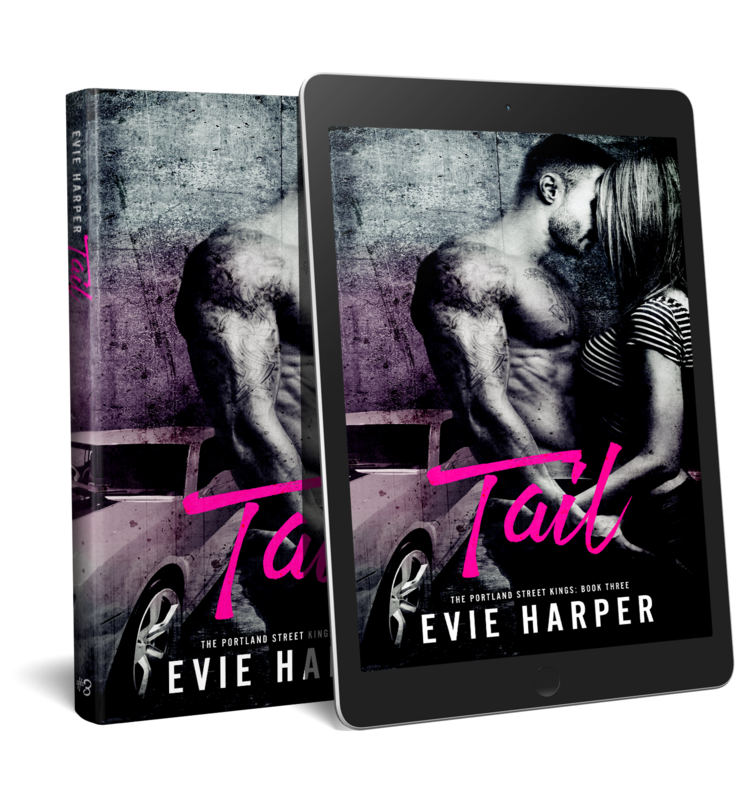 Evie spends her days writing heartbreaking, suspense-filled love stories with happily ever afters. Win Collision, Fatal, Tail and Pursue in paperback! The entire Portland Street Kings series! 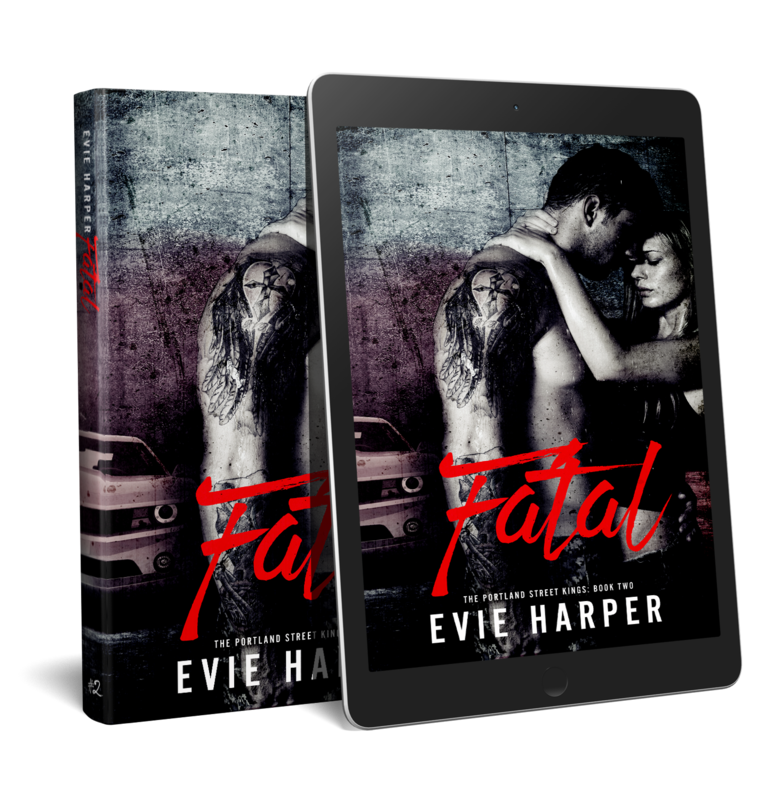 All you have to do is share Evie Harper’s ‘LIVE’ post on her author page (link below). Open internationally! 2. Like and Share the ‘Pursue Is Live’ post ➞ It will be the pinned post on the page. 3. Comment on the post that you’ve shared. This entry was posted in New Releases. Bookmark the permalink.